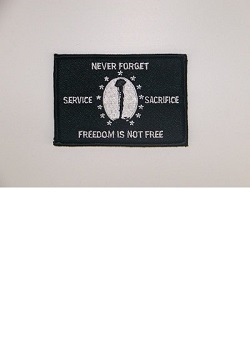 This black rectangle patch features the soldier's cross and NEVER FORGET; FREEDOM IS NOT FREE; SERVICE and SACRIFICE around the edge. Approx. size 3 1/4" x 2 1/4".